Construction Site Accidents—We Fight For You! Mr. Ganim was recently honored by being named to the list of New England Super Lawyers. 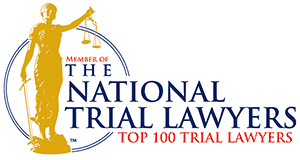 This publication recognizes legal excellence in the states of Connecticut, Maine, Massachusetts, New Hampshire, Rhode Island, and Vermont. It is a rating service of outstanding lawyers who have attained a high-degree of peer recognition and professional achievement. A 53-year-old man with neck injury receives a settlement for $275,000 when struck by a vehicle that fled from the scene of the accident in Stamford, Connecticut. The operator of the vehicle was chased by the injured man and caught several miles from the scene of the accident. The operator of the vehicle at fault only maintained a $25,000 insurance policy which was paid by his insurance company. The injured man then collected another $250,000 through his own automobile insurance policy as his case proceeded with a trial date. I wanted to send you a special thank you for all of your time and help. I can never thank you and Sheila enough for all you have done. It takes a lot of time and work to do what you do, I know that things do not always work out in life as planned. This situation has changed life for me....Thanks to you....I will not have to worry about providing for my children. The whole process has been a nightmare and caused a great deal of stress on both of us. You work very long hours and hold a very stressful job so i know you'll understand when i say that it is difficult to work with some of these things , and it causes stress.......your office has been the only one that has been helpful and pleasant to deal with.auditing.... Thank you for all your work and efforts.